A garage door that’s broken or not working properly is not just an eyesore, but also a potential safety hazard. For homeowners in Tuscaloosa, Alabama, your best bet is to have your old door replaced with a brand-new one from 31-W Insulation. For more than 40 years, we have been providing residents throughout the southeastern United States with the home improvement solutions they seek. With our top-of-the-line products and professional installation services, you’ll be enjoying a safe, new door in no time. 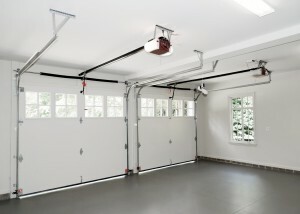 Products from top brands – Our garage doors and openers come from trusted manufacturers such as Amarr®, Linear Pro Access™, Marantec, and Liftmaster® – brands that are known for producing durable and well-constructed products. Many aesthetically pleasing options – With attractive styles that include traditional, carriage house, and specialty options in a wide range of color schemes, you’ll be sure to find a garage door that suits your home and enhances its curb appeal. Professional installation services – Our technicians are factory-trained and -certified in installing garage doors, so you can trust that your new door will be installed safely and accurately to function properly for years to come. If you’d like to learn more about the garage door options we offer at 31-W Insulation, contact us today. We proudly serve homeowners in Tuscaloosa, AL, and the surrounding towns.